One of my favorite activities is to flip through furniture and decorating catalogs searching for news ways to arrange my living room or organize my kitchen. I recently hired a painter to come and update my living room. Of course, I needed a few new throw pillows and accent pieces to go with the improved space. The result was a much needed update and a satisfied resident. The truth is, my attention to the cleanliness and aesthetics of my home is not unusual. It doesn’t need to be argued that where you eat, sleep and play matters. Your home is important. I feel it; you feel it. Yet, keeping a home clean and liveable is not an easy task and it often becomes more difficult as we age. As the loyal family caregivers struggle to keep their own house as well as the house of their senior loved one, the thought of moving may emerge. 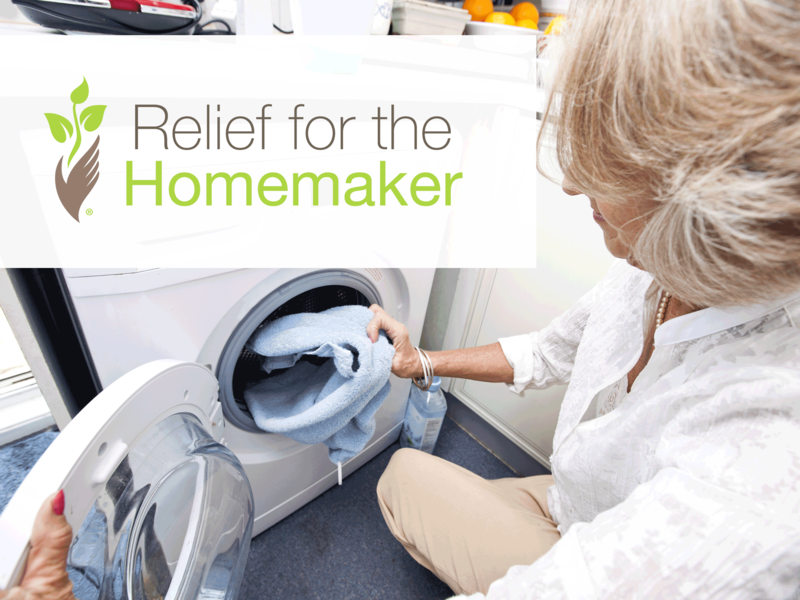 However, there are other options, ones that will bring relief to the tired homemaker. Preferred Care at Home’s homemaker service was created to help seniors stay in the homes they spent a lifetime creating. It is so easy to become overwhelmed by the pile of laundry, the dirty floors, and the cluttered counters, but these chores shouldn’t be the reason you are forced to move. Too often, the energy of the family caregiver is focused on these mundane, but necessary, tasks rather than on connecting to their mother, father, or spouse. The homemaker service enables the family caregiver to enjoy visits with their senior loved one instead of scrubbing the bathroom floors. This list of homemaker duties is not exhaustive. Contact a location near you to learn more about our homemaker service and customize a care plan that is right for you. In the words of the author, Jane Austen, “There is nothing like staying at home for real comfort.” Our homemaker service can help you have real comfort in your beloved home.